Ok, I am very intrigued by this. 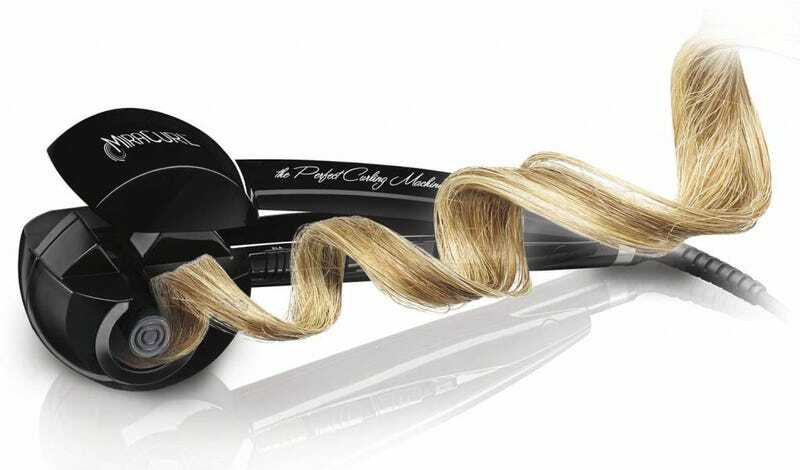 Does anyone have a Babybliss Miracurl curling iron? It looks amazing, since I often want to curl my hair but I hate the work/time that goes into it (it takes me anywhere from an hour to 3 hours to curl my hair because I have so much) and the risk of burning everything in my path. Does it work well, or does it risk eating my hair like those Cabbage Patch dolls they had to recall in the 90s for eating children’s hair? In exchange, I give you a recommendation. I absolutely love the Freeman Charcoal & Black Sugar Facial Polishing Mask. It’s both a mask and a scrub, so it’s a great 2 in 1 product. The charcoal is great for drawing out impurities and clearing up skin, and using it as a scrub is awesome because it melts after a little while so you don’t run the risk of over scrubbing. Plus it smells delightful and is dirt cheap at any drug store. I got mine for $3.50 at CVS and it lasts forever since you don’t need to use that much. Do you have any general questions and/or products that you feel the urge to share with everyone? Share them here!